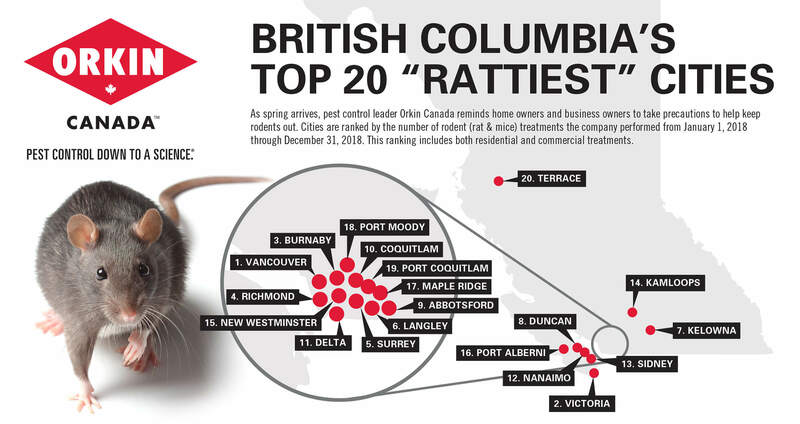 As spring approaches, pest control leader Orkin Canada reminds homeowners and business owners to take precautions to help keep rodents out. Cities are ranked by the number of rodent (rat & mice) treatments the company performed from January 1, 2018 through December 31, 2018. This ranking includes both residential and commercial treatments. Inspect both inside and outsideyour property for rodent droppings, burrows and rub marks along baseboards and walls. The more quickly rodents are detected, the better.